I launched American Indians in Children's Literature in 2006. This is the first time I'm doing a recap of any given year. I started it in 2014, thinking I could post it in time for the end of 2014/start of 2015 when everyone is doing year end reflections, but it took far longer than I anticipated. I hope you enjoy it. It isn't comprehensive. I did over 100 posts in 2014. Here are some high and low points that stood out to me. I always welcome your comments and emails. I make typos--and am always grateful to those of you who write to tell me about them. I fix 'em, thanks to you! Saving Mr. Banks came out in theaters. Reading a response to the movie prompted me to write Travers (author of Mary Poppins): "I lived with the Indians..." Do read that post! From the background on Travers to the side-by-side comparisons I did of the first edition and the revised edition without the racist images and text... Well... lots of fascinating info! Always looking for young adult books set in the present day, and when I find them, hoping they'll be good... Among its many problems, Liz Fichera has Native characters being saved by white ones. Not necessarily a bad thing, but definitely a story line that we see far too often. Hooked is on my not recommended list. It got a thumbs down, too, from Naomi Bishop, of the American Indian Library Association. Brian Floca replied to my review of Locomotive. That post was one of AICL's most-read pages for 2014. Though Mary Pope Osborne's Magic Tree House series is much-loved, I found many problems with Thanksgiving on Thursday. She found a new way to misrepresent Squanto in her book (it was published in 2002, but AICL looks at old and new books). In other media, I learned about murals at post offices. It was interesting to see the differences in murals of Native peoples done by Native artists versus the stereotypical ones done by white artists. My post about John Green's use of sarcasm regarding Native peoples generated a lot of discussion in the comments to it but also on Facebook. This sarcasm is in The Fault in Our Stars. I read--and recommended--The Giant Bear: An Inuit Folktale. It has a teacher's guide, too! Check it out. 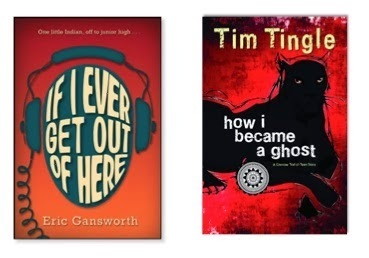 I was thrilled to learn that Eric Gansworth's If I Ever Get Out of Here was chosen as one of YALSA's Best Fiction for Young Adults for 2014. 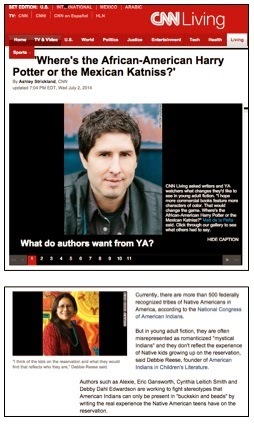 And, the American Indian Library Association announced the winners of its Youth Literature awards! I was nervous about being interviewed for a CNN story about young adult literature. As I thought about that interview, I wrote about several books for young adults, noting that librarians and teachers must not let Alexie's young adult novel be "the single story" they read/share about Native peoples. I was pleased to see Laurie Halse Anderson's treatment of Native content in her The Impossible Knife of Memory. In my review of Tim Tingle's How I Became a Ghost, I took special delight in his use of "Choctaw Nation" in the chapter heading for his opening chapter. I had a rather long back-and-forth with Rosanne Parry over problems I found in her Written In Stone. I grew weary of that back-and-forth. It is unfinished. In the summary (above) for January, I noted how white characters save Native ones in Hooked. Parry is a white writer with good intentions, but has blinders to issues in how she went about her story. She asked me for input but then rebutted that input. It is similar to what Lynn Reid Banks did, and what Ann Rinaldi did (invite but reject input from Native scholar). I did an analysis of books by/about American Indians sent to the Cooperative Center for Children's Books at Wisconsin in 2013. No surprise to see that most books by major publishers were by not-Native writers and that they had a lot of stereotyping and errors, while books by small publishers were by Native writers, and they were definitely far better in quality! 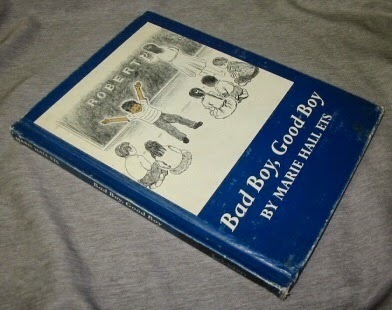 With so much interest in Rush Limbaugh's books for children, I decided I best take a look at the first one. It was just like listening to his show. No surprise there, but important to list its problems, especially since he went on to be named author of the year by the Children's Book Council. It was a year in which Dan Snyder, owner of the Washington pro football team, preyed on tribes as he looked for Native people to endorse his use of a racist name for his team. My post on March 25 was about the foundation he set up for that preying activity. For over a hundred years, Native people have spoken against misrepresentations of Native people. These things matter. Our youth struggle in school. They're inundated with misrepresentations in their books and other places, too, like with mascots. I looked at some of the data on graduation rates and linked it to stereotyping. In February, I wrote about being interviewed by CNN. The story was uploaded in April (if the link to he CNN page doesn't work, send me an email and I'll send you a pdf). I am thrilled to be part of an article that pointed to the work of excellent writers like Matt de la Pena, Sharon Draper, Walter Dean Myers, Cindy Pon, Malinda Lo, Sherman Alexie, Eric Gansworth, Cynthia Leitich Smith, and Debby Dahl Edwardson, and, a key person in the book publishing world, Cheryl Klein. Do read the article. I read--and loved--Chukfi Rabbit's Big, Bad Bellyache by Greg Rodgers. He incorporated Choctaw words into the story. As you scroll down to December, you'll see the cover of Greg's book, and a photo of him, too. Sadly, he passed away in December. April marks the month when the We Need Diverse Books campaign was taking form. It isn't the first time that a group of people took action to decenter the whiteness of literature. This time--with the demographic make-up of the US about to shift from white majority--could mean whiteness does, in fact, get decentered. My first post about the campaign was uploaded on April 28. In the middle of May I participated in a twitter chat about the We Need Diverse Books campaign. I advocated for books by Native writers and was (as usual) challenged for that advocacy. The outcome was a post about that advocacy that included a photo gallery of Native writers and illustrators who have done books for children or young adults. I later turned that post into a page that is now in my menu bar above (beneath AICL's logo) that I am steadily adding to periodically. I read a delightful picture book: Hungry Johnny by Cheryl Minnema and Wesley Ballinger! Though it features Ojibwe people, it is a lot like Pueblo gatherings, where elders take center stage. And, another delightful picture book I read in May is Sweetest Kulu by Celina Kalluk and Alexandria Neonakis. And yet another delight that month was Arigon Starr's Super Indian comic! One of the many dreadful books I read in 2014 is Julia Mary Gibson's Copper Magic. The stereotypical mystical Indian theme is front and center in this young adult novel, and, well, it is yet another awful book from a major publisher! It was also disheartening to see stereotypes in the popular Where's Waldo series. First week of June, I wrote about the We Need Diverse Books campaign. I support what they're doing. The WNDB group did a presentation at Book Expo on May 31. My post was a compilation of tweets and photos coming from BEA. I did an in-depth analysis of Katherine Kirkpatrick's Between Two Worlds. Like too many books from major publishers, it is replete with errors and stereotypes about Native people. Rubbing noses? Sheesh! 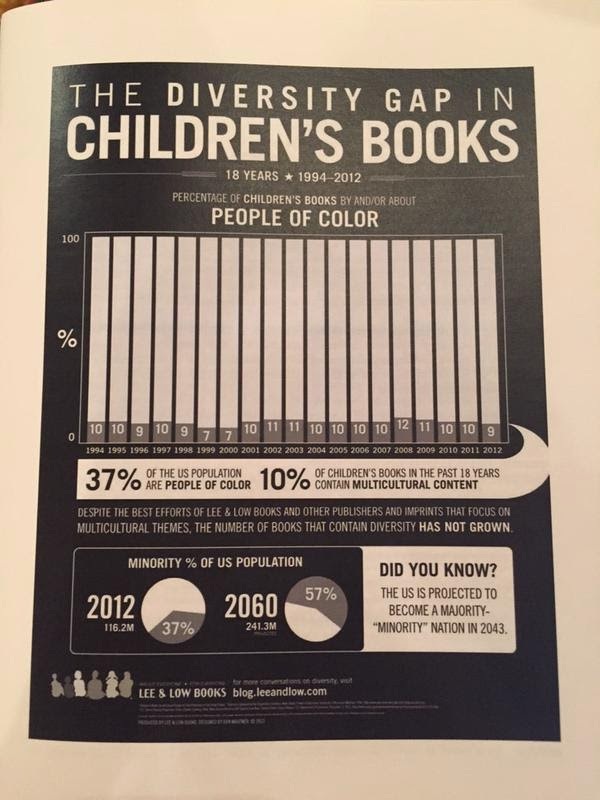 It is a great example of the work ahead of the We Need Diverse Books campaign. Stereotypes like those Kirkpatrick used are one problem. Another is ambiguity. Paul Goble's much-acclaimed The Girl Who Loved Wild Horses doesn't specify a tribe. 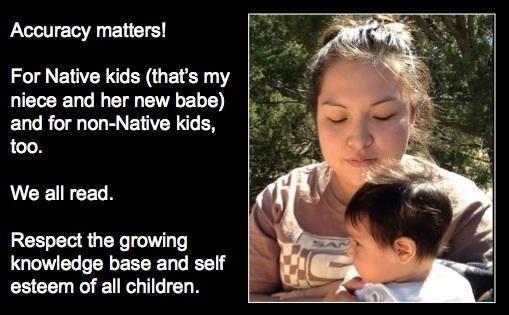 There is no one-size-fits-all for Native nations. In the middle of the month I read two outstanding books. Both are tribally specific, both are the work of Native people. I highly recommend them: Donald F. Montileaux's Tasunka: A Lakota Horse Legend and Arigon Starr's Annumpa Luma--Code Talker. Also in the middle of the month, Beverly Slapin sent me her review of Joseph Bruchac's Killer of Enemies. It won the Young Adult award from the American Indian Library Association. Towards the end of the month, I wrote up a review of a "Native American Zodiac" that was circulating widely. One rule of thumb that'll help you know if something is worthwhile is to ask "is this tribally specific." With this zodiac, the easy answer is no. Yet, it is hugely popular, so I hope you'll read the critique and share it with others. The month kicked of with a wonderful look at Tim Tingle's remarks at the American Library Association's conference. He won the American Indian Library Association's Youth Literature Award for How I Became A Ghost and was there to receive his award. In the middle of the month, I wrote a bit about E. B. White. Did you notice the Native content in Stuart Little? Take a look. A librarian wrote to ask me about Gary Paulsen's Mr. Tucket. I hadn't read it before. Her request prompted me to read it. I did a chapter-by-chapter analysis. Though Paulsen was tribally specific, he drew heavily on stereotypes. Earlier in the year, a person at the Library of Congress asked if I could recommend a Native mystery writer that they could have at the National Book Festival. I asked colleagues in my Native network of scholars and writers, and was pointed to the work of Cherokee writer, Sara Sue Hoklotubbe. At the end of the month, I wrote about her Sadie Walela series. As I was recovering from a broken ankle, I didn't do much blogging at all, but I did read Hoklotubbe's books. I like them very much! I'm glad she was able to be at the National Book Festival. In the days following her reading, I thoroughly enjoyed the photos and stories she shared about the experience on her Facebook page. 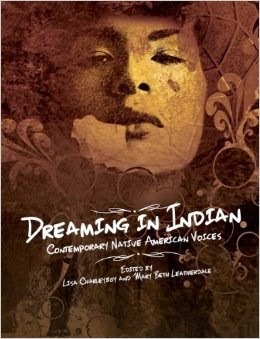 A very high point for the month was reading--and loving--Dreaming in Indian: Contemporary Native American Voices. Speaking of Goble, I wrote about him, asking Was Paul Goble adopted into the Yakima and Sioux tribes? I put out a call for books for early readers. A learned that Jack Prelutsky's It's Thanksgiving had been redone in 2007, but that the stereotypical problems in the earlier book (published in 1982) were unchanged. I read The Education of Little Tree. I knew it was deeply problematic, but didn't know just how bad it is. I was surprised at some of its content. Cherokee "mating dances"?! Reading that part, I shook my head. So much wrong with it, and yet, it circulates and sells, and sadly--informs readers and writers, too. Maybe its power in misinforming people is evident in publication of books like Heather Sappenfield's The View From Who I Was. 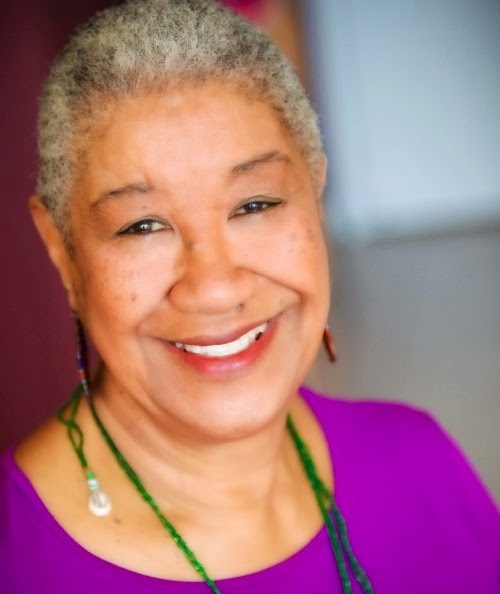 The author meant well--they always do--but the Native community is quite irate over what she did in her book. I did a careful read of it and shared it with her and her editor. Some changes were made as a result... Instead of "costume" she used "regalia" but those are easy changes and don't get at the foundational problems with the book. There are problems in Bouwman's The Remarkable and Very True Story of Lucy and Snowcap (Two Lions, 2012) and Bow's Sorrow's Knot (Arthur A. Levine Books, 2013). Lots of writers love the "mystical" Indian. There's a lot of that in Nordgren's Anung's Journey (Light Messages Publishing, 2014), too. Looking back, it was a tough month. I also wrestled with Neal Shusterman over his Unwind series. He read my review and responded with a comment. Later in the year I wrote more about his books. Carol Lindstrom's Girls Dance Boys Fiddle is terrific. Published in 2013, it is from a small press in Canada called Pemmican Publications. From another small publisher, Native Northwest, we got the gorgeous and bilingual counting book, We All Count: A Book of Numbers by Julie Flett. At the other end of the publishing continuum is Sebastian Robertson's picture book biography about his dad, Robbie Robertson. Way cool. The low points are two picture books by big publishers that diss Native people. They are As An Oak Tree Grows by Brian Karas (Nancy Paulsen Books, 2014) and Thomas Jefferson: Life, Liberty and the Pursuit of Everything by Maira Kalman (Penguin, 2014). Over in the UK, The Guardian worked with Seven Stories Press on a diversity initiative that includes Amazing Grace and Apache: Girl Warrior. Both stereotype Native people and ought not be on a list of diverse books. In contrast to those low points is K. V. Flynn's On The Move. Flynn isn't Native but it is obvious he did his homework to write On The Move. His characters are from specific tribes and they're well developed, too. I ended the month with a look at Virginia Stroud's Doesn't Fall Off His Horse. Published in 1994 by Dial Books, it is excellent and now available in ebook. November is always a stressful month for two reasons. For several years now, the President of the US has designated it as a month dedicated to Native peoples. Because it is also the month that the US celebrates Thanksgiving, things get awfully skewed to a romantic narrative that misinforms and miseducates children about America and American Indians. It is also a month in which I'm asked to do guest posts and lectures. In preparation for a television interview that would be televised later in the month on CUNY TV, I wrote up Some Thoughts about Native Americans and Thanksgiving. I pointed to some of my favorite books. Here's info about the Twitter chat I did for We Need Diverse Books. It was storified by the WNDB team. WNDB team member Miranda Paul interviewed me over at Rate Your Story, which is a site designed to help writers and the WNDB team asked me to do a Tumblr post, which I titled Why I Support WNDB. Beverly Slapin contributed two items: a great review of Kim Shuck's Rabbit Stories and with Kim, a satirical piece, How to Write a Dystopian Young Adult Novel (or short story) with Native Characters for Fun and Profit. A perfect reference book for the month is David Treuer's Everything You Wanted to Know about Indians But Were Afraid to Ask. Packed with solid info you can use to enrich your own ability to discern the good from the not-so-good (or just plain awful). Treuer's book is one that I wish writers who incorporate or feature Native content would read. During a WNDB twitter chat on diversity, Francesca Lia Block's name came up. I tweeted the links to my posts on the problems in her books. To my surprise, she was online, too, and apologized. I was thrilled but then someone else suggested I read her Teen Spirit. I did, and its got problems, too. It seemed to me that her apology was kind of shallow, then. Maybe if she'd said, in her apology, that Teen Spirit had the same kinds of problems, the apology would be more meaningful. Maybe writers just do not criticize their own books. Ever. I'm trying to think of an example. If you have one, let me know! A high point of the month was taping a segment for CUNY's Independent Sources. It aired around Thanksgiving. I love the images they prepared for it--using books I recommend--and the video itself is pretty good, too. Two other high points: reading Cynthia Leitich Smith's Feral Curse and Roy Boney's We Speak In Secret. I highly recommend both. And--big sigh--there was a lot of activity related to Peter Pan. It was on television as a life performance. I have two posts about it. "True Blood Brothers" includes a link to the earlier one. Outside of trade books, there are those in basal series. I rarely see them, but should figure out how to do more about them. Starting in November, Native parents in Alaska started writing to me about four books in the McGraw Hill "Reading Wonders" series. Goodness! Some dreadful items there. The outcome of meetings with parents was that the superintendent decided to withdraw the four books. Back in trade books, I read and do not recommend Nick Lake's There Will Be Lies or Neal Shusterman's Unwholly or Unsouled. These are from major publishing houses with a lot of heft. A lot of problematic content, in other words, getting pushed out and added to the too-high-pile of misinformation about Native peoples. On the plus side, I finished the month with reviews of Tim Tingle's House of Purple Cedar and Erika Wurth's Crazy Horse's Girlfriend. I highly recommend both of those books for young adults. And--a rare event on AICL--I recommended a nonfiction book for children. I need to do more on nonfiction! A Children's Guide to Arctic Birds is terrific. Just before Christmas, the Native community across the country was shocked and saddened to learn that Choctaw writer, Greg Rodgers, had passed away. His first picture book came out in 2014. A delightful story, we were looking forward to his career as a writer. I looked over everything I'd read over the year and put together AICL's Best Books of 2014 list. It has 17 books on it. Most--but not all--are by Native writers. As I post this recap of 2014, we're well into 2015. I'm grateful to those of you who read and share AICL's posts and glad for every comment I get. Keep sending me email! Your emails direct a lot of what I do here. And remember! All the work I do is with young people in mind. I respect writers and the work they do, but the people closest to my heart are those who read your work. When it has problems, I'll note it because those finely crafted words writers give to children can inspire them, but they can also hurt them. And when those words are well done, I'll celebrate what you do. I'll share it with moms and their kids. Like my niece and her daughter. This is who we're all here for. This is a how-Debbie-analyzes-a-book post. Crow Chief always warns the buffalo that hunters are coming, until Falling Star, a savior, comes to camp, tricks Crow Chief, and teaches him that all must share and live like relatives together. I don't have the book itself in front of me but am able to look at the first pages via Amazon's 'look inside' option. The full title of the book is Crow Chief: A Plains Indian story. In those long-ago days, the Crow Nation once had a great leader. They called him Crow Chief. With that sentence, Goble moves from the broad "Plains Indian" to the specific: "Crow Nation." When I turn back to his page of references, then, I expect to see a source specific to the Crow Nation, but there isn't one. Here's the list of books he references, and what I've been able to find in them. The full title of Maurice Boyd's Kiowa Voices is Kiowa Voices: Ceremonial Dance, Ritual, and Song. I can't read it online, but the descriptions of it say Kiowa. My guess is that it does not have a Crow Nation story in it. It might have a Kiowa story about a white crow. On page 276 of Traditions of the Arapaho, there is a story called The White Crow. This crow keeps all the buffalo for himself, hidden in a hollow mountain. The people plot to catch him. When they do, they tie him to their tent and he turns black. Later they let him go and follow him. They let the buffalo go. It is an Arapaho story, not a Crow one. I am unable to see this book anywhere online. It exists, but Amazon, Google Books, Hathi Trust, and Internet Archive don't have any portions of it that are viewable online. I do have a copy of American Indian Myths and Legends edited by Richard Erdoes and Alfonso Ortiz. In it is "How the Crow Came to be Black." It is on page 395 and is noted as a Brule Sioux story. In it the crow is thrown into a fire and his feathers are charred. Grinnell's By Cheyenne Campfires has a story in it called Falling Star about a white crow, but it is a Cheyenne story, not Crow. It starts on page 182. On page 187, an old woman tells Falling Star she has nothing to feed him because a white crow has been driving the buffalo away. Falling Star catches it, takes it to the chief, who decides to put it in the smoke hole of his lodge to smoke the crow to death. It gets away, is caught again, and killed. LaPoint's Legends of the Lakota has a story about a white crow. I'm able to see snippets of the story that appear on page 74 and 75. There, I see that the crow used to be white, and that there were no buffalo. It is set in a Lakota encampment, so I suspect it is presented as a Lakota story rather than a Crow one. I ordered a copy of this book because it was published by the Indian Historian Press. That press is significant in Native studies. Neihardt's Eagle Voice - I couldn't find that title, but did find When the Tree Flowered: The Fictional Biography of Eagle Voice by Neidhardt. It was published in 1951. It has a story called The Labors of the Holy One. In it, Falling Star is a main character. There is a white crow that scares the buffalo when the hunters are coming. It is tricked by Falling Star and ends up being black. But, the story is a work of fiction by Neidhardt, who was not Native. I am unable to find Vivian One Feather's Ehanni Okunkakan, but information about it indicates the items she wrote are Lakota, for use at Red Cloud Indian School. The full title of Theise's Buckskin Tokens is Buckskin Tokens: Contemporary Oral Narratives of the Lakota. I am unable to see it but given its title, my guess is that the stories in it are Lakota, not Crow. Wissler and Duvall's Mythology of the Blackfoot Indians has an introduction that says the stories in it are Blackfoot. On page 40 is a very long story called The Twin Brothers, or Stars. On page 50 is where I come to a part of the story about crows driving buffalo away. Crows used to be white. On page 51, Crow is tied in a smoke hole and becomes black. So where does that leave me at this point? Looking through the references Goble used for this book, I am not able to find one that is about the Crow Nation and their stories. 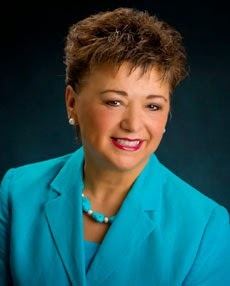 Do you know Betsy Hearne's article, Cite the Source? It is about traditional stories. In it, she talks about the importance of citing the source. Goble has cited a lot in Crow Chief but I'm thinking that what he's shared isn't really helpful for anyone who is trying to determine the accuracy of the story he tells. Some might argue that it is not fair to judge Goble's book from this point in time (2015) because it came out in 1992. Hearne's article came out in 1993. He, therefore, didn't have her article for guidance. It is possible that Goble meant nation of crows-the-birds rather than the Crow Nation of people. If he did, then the story might be ok but I think viewing it that way injects too much confusion, and we still have too much ambiguity. An important bit of information that I must share. In the late 1800s, the Bureau of American Ethnography sent people to gather stories from the tribes out of a concern that we were dying off and our stories would be lost forever. 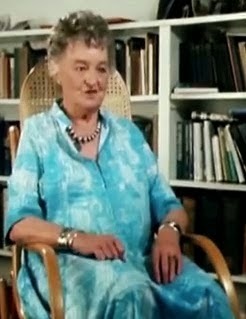 The stories were published and seen as legitimate source material. Sometimes they are and sometimes they are not. Frank Hamilton Cushing, for example, collected stories at Zuni. His are not reliable. Some of the collectors were not aware of their own biases as outsiders. That bias and outsider perspective is in those stories.